Ministerial meeting on the Iran nuclear deal on July 6, 2018 in Vienna (Photo by AFP). Five world powers agreed with Iran Friday to forge ahead with negotiations with the Islamic Republic and maintain its ability to export gas and oil as they met in Vienna in a bid to preserve a nuclear deal despite the withdrawal of the United States. “The participants recognized that, in return for the implementation by Iran of its nuclear-related commitments, the lifting of sanctions, including the economic dividends arising from it, constitutes an essential part of the JCPOA,” Mogherini told reporters after the meeting without taking questions, according to the Associated Press. For his part, Iran’s Foreign Minister Mohammad Javad Zarif said he believed there is political resolve for maintenance of Iran nuclear deal. “We wait to see whether the other sides to the deal would implement the points we discussed and agreed upon today which have been included in the statement of the joint commission,” IRNA news agency quoted the top Iranian diplomat as saying. Other objectives Mogherini outlined included maintaining wider economic relations with Iran, financial channels, Iran’s export of oil and gas, and the continuation of sea, land, air and rail transportation links. 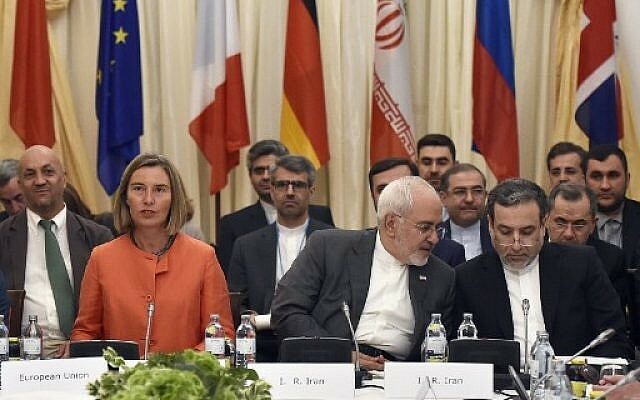 Mogherini said all participants had agreed to reconvene the JCPOA again at a later date.